It’s one of our favorite seasons at The Fort, and the return of our prime rib weekends is a sign of just that. Enjoy one of our most popular dinners with a Fort salad, seasonal vegetables, mashed potatoes and a Buffalo Prime Rib entrée (horseradish available upon request!). Prices start at $39 per person, and this special is available on Fridays, Saturdays and Sundays. 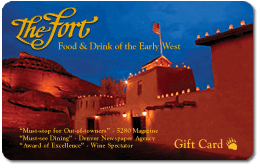 Can’t make it to The Fort? Make your own beef or buffalo prime rib roast at home. Rub the roast with the beef base concentrate and garlic. Sprinkle the rosemary and pepper over all, letting it stick to the beef base. Wipe the oil on your hands and gently rub the herbs into the roast. Let stand for one hour at room temperature. Preheat the oven to 500° F. Place the roast on a foil-covered roasting pan. Arrange the onion peels around the base of the roast and place in the oven. 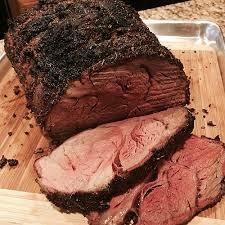 Roast for 8 minutes before lowering the heat to 250° F. Roast for 18 minutes per pound. Remove the roast from the oven, and allow it to rest for 15-20 minutes before carving.